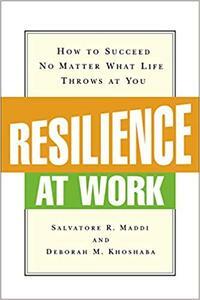 Salvatore R. Maddi, Deborah M. Khoshaba, "Resilience at Work: How to Succeed No Matter What Life Throws at You"
"Why do some people remain so calm and collected in the face of looming deadlines, combative meetings, impending layoffs, and turbulent changes? And why are these seemingly unflappable people the ones who consistently get ahead in their lives and their careers? The key to success is their resilience, according to the founders of the innovative Hardiness Institute in Newport Beach, California. More than experience or training, resilience in the face of stressful situations and rapid changes determines whether you ultimately succeed or fail in the workplace. It allows you to thrive even in tumultuous conditions, to turn potential disasters into growth opportunities. And the good news for the legions of other workers who become overwhelmed, and even sickened, by stress is that resilience in the face of life’s problems is not an inborn personality trait, but a set of skills and attitudes that you can actually learn and develop. Resilience at Work gives you the knowledge, tools, and encouragement you need to embark on your journey to becoming a hardier, more successful person. Based on a twelve-year study of Illinois Bell Telephone employees as they experienced immense organizational change, as well as hundreds of subsequent studies and firsthand consulting and training experience, the book shows how to enhance your capacity to succeed in even the harshest economic climates. Packed with insightful examples, case studies, and self-assessment tools, Resilience at Work explains how to: * Approach change as a meaningful challenge no matter how stressful the circumstances, and stay committed to your work, rather than detaching and giving up. * Gain control by understanding the upside and the downside of change, and take actions to influence beneficial outcomes. * Turn stressful changes to your advantage and map out sound problem-solving strategies. * Resolve ongoing conflicts and build an environment of assistance and encouragement between you and your coworkers. * Decrease feelings of isolation and powerlessness by understanding the 3Cs that give you the ability to thrive amid disruptive changes: commitment, control, and challenge. Reorganization, downsizing, mergers, budget pressures, transfers, job insecurity, and more are producing today’s unpredictable, pressure-cooker conditions, and making it harder for less resilient people to achieve the success they deserve. 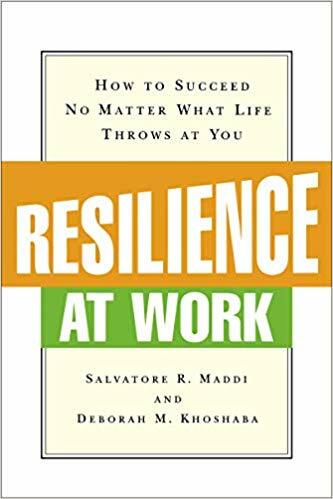 Resilience at Work supplies insights and strategies you can use to combat your fear of change and uncover the opportunities that can be found in even the most stressful situations.